The independent circuit in professional wrestling has grown massively in the past few years. Gone are the days when WWE was the best promotion to work for. Cody Rhodes, who was having a tough time in the lower card of WWE, asked for his release in 2016. The American Nightmare literally turned his life upside down in the independent circuit, emerging as one of the biggest names outside WWE. Rhodes also claimed that he was making triple the amount he was making in WWE. His success on the independent circuit ultimately led to the birth of a new promotion, All Elite Wrestling, owned by Shahid Khan. 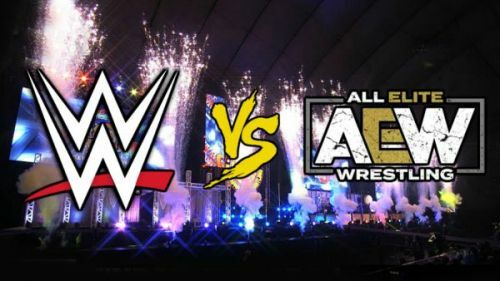 AEW has quickly caught everyone's eye as it boasts of some of the biggest names in professional wrestling outside WWE. The eventual signing of Chris Jericho and the wrestling sensation, Kenny Omega, gave them the much-needed star power. AEW isn't like any other promotion, and there are reasons for WWE to be worried about its growth. The roster of AEW isn't as diverse as WWE's but they do have some of the most talented athletes in professional wrestling. With such immense talent on both rosters, there are some cross-promotion matches that will blow the roof off of any arena they are held in. Here are 5 fantasy inter-promotion matches between WWE and AEW that everyone would love to see. When Neville walked out of the company in 2017, people were worried about the 205 Live division which was already struggling. Neville was the driving force behind the cruiserweight division as he held the title for a record 196 days. Little did people know that NXT's best-kept secret would turn out to be one of the most excellent workers in WWE. In a very short time, Murphy established himself as one of the biggest names in 205 Live. He is currently the third longest reigning cruiserweight champion. The men ahead of him are Cedric Alexander and the King of Cruiserweights, Neville himself. A match between Murphy and Neville, who now wrestles under the ring name Pac, will definitely be one of the best matches of both of their careers.